Ahoy Matey! Sail into this fun spelling/reading activity for your little pirates. 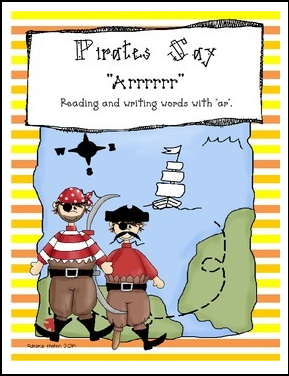 Your students can read the room to find hidden treasures-pirate cards with "ar" words-then record them on the super cute pirate paper.